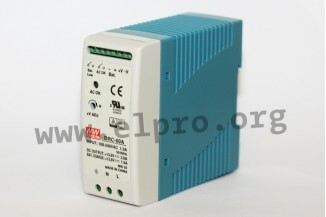 The power supplies have an enclosed design can be installed directly on a DIN rail. 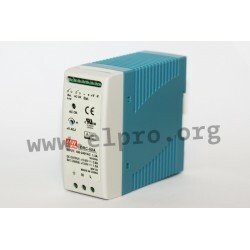 Endued with battery charcher (UPS function), touch protected screw terminals, universal AC input, battery low protection, alarm signal for AC OK and battery low as well as protection against battery polarity, short circuit, overvoltage and overload by shutdown (auto recovery). We offer the following types by manufacturer Mean Well: DRC-60A and DRC-60B.